More Industry Statistics, Forecasts and Trends than any other Marine Yearbook. Tables and Navy Construction Data. Construction (Large and Small), Cruise Vessel Construction (Large and Small), U.S. Navy Construction, U.S. Ports and more. * Maritime Reporter's 1991 World Yearbook was over 70% larger than the yearbook of the no. 2 magazine. 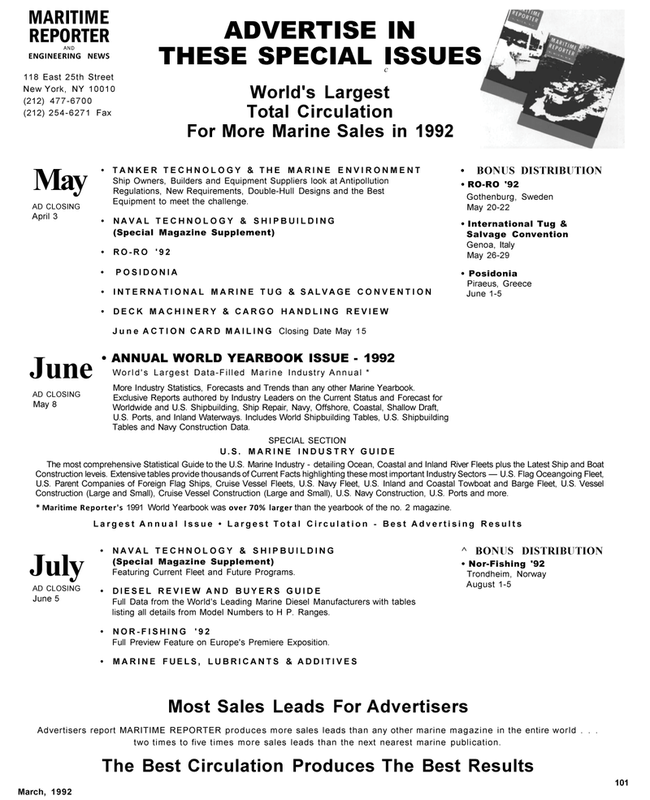 Advertisers report MARITIME REPORTER produces more sales leads than any other marine magazine in the entire world . . . two times to five times more sales leads than the next nearest marine publication.